Aspen A Plus Executive Transportation provides professional ground transportation for all San Francisco conventions, San Francisco Bay convention services and Silicon Valley convention services. We specialize in complete ground transportation management solutions that will meet your group or individual convention transportation needs. Aspen A Plus Executive Transportation professional San Francisco convention transportation service, on-site coordinators, and luxury fleet will ensure that your clients and executives will receive the highest quality service. Our team will work with your event planner or group coordinator to arrange all your ground transportation logistics from planning stages to your convention destination. 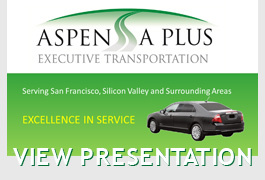 Aspen A Plus Executive Transportation provides professional ground transportation services to the Moscone Center. We offer the highest quality executive services and limousines for conventions with professional and knowledgeable chauffeurs. Also available is our friendly and professional limousine Meet & Greet service. 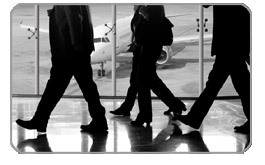 Aspen A Plus Executive Transportation staff will provide personalized service for every person or group upon request. Our team will work with you throughout your event by arranging Meet & Greet personnel at airports, hotels, and convention centers and coordinate proper pick-up times and locations.You will get the attention and personal service you deserve. We'll make your next Moscone Center convention transportation a complete success. Aspen A Plus Executive Transportation provides professional ground transportation to the San Jose McEnergy Convention Center and for all San Francisco conventions. We specialize in complete ground transportation management solutions that will meet your group or individual convention transportation needs. We offer a wide array of fleet vehicles made up of sedans, hybrid sedan fusion's, SUV's, Mercedes executive vans, mini buses, shuttle buses and motor coaches. Aspen A Plus Executive Transportation provides travelers with competitive rates, clean vehicles and professional chauffeurs. Aspen A Plus Executive Transportation offers San Mateo County Event Center transportation services for conventions and meetings & events at the most affordable rates for San Mateo and the surrounding areas. Our representatives will work together with you in order to create a complete customized package for your event needs. Our transportation limo services allow you to have all the participants to the convention on the exact scheduled time, due to our on-site coordinators and the capacity of our convention limousines that we place at your disposal. Aspen A Plus Executive Transportation has built their reputation on personalized convention and private transportation services at competitive rates and reliability. We have the newest limousine and convention transportation fleet in the San Francisco area. Aspen A Plus Executive Transportation has a 24 hour transportation service hotline, a computerized billing and reservations system for reliability and availability anytime. Call anytime day or night, 365 days a year for dedicated, live assistance or place a reservation online through our online reservation system.